The incident-probing commission announced earlier that Soyuz incident occurred after "a nozzle cover on the oxidizer tank failed to open due to the deformation of the separation contact sensor"
MOSCOW, November 19. /TASS/. The abortive launch of a Soyuz-FG carrier rocket in early October might have been caused by an unintentional error made during the rocket’s assembly at the Baikonur space center, head of Russia’s space agency Roscosmos Dmitry Rogozin said on Monday. "There are two cranes there [in the assembly shop]. Probably they did something wrong. Most likely it was an unintentional error but we are looking at all possibilities," he said, adding that neither of the shop’s workers has been suspended from work as of now, since it is up to law enforcement agencies to identify those responsible. 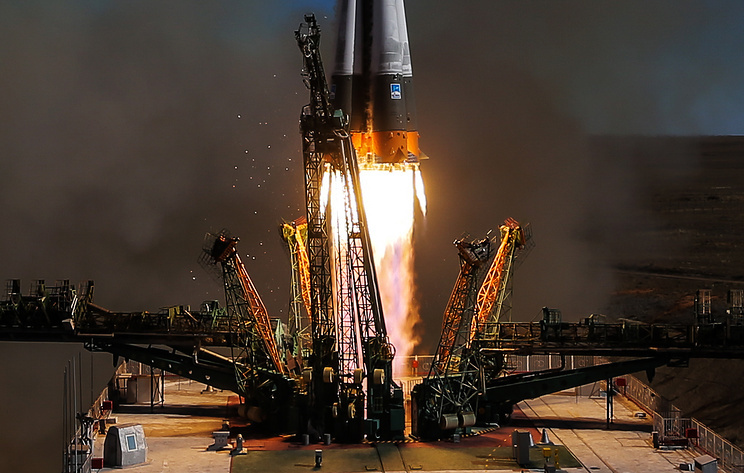 Soyuz-FG carrier rocket with a manned Soyuz MS-10 spacecraft blasted off from Kazakhstan’s Baikonur Cosmodrome to the International Space Station (ISS) on October 11. 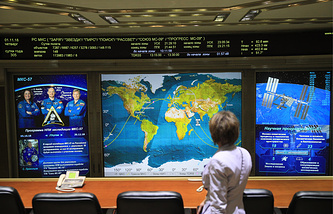 On board the spacecraft were Russian cosmonaut Alexei Ovchinin (the commander of the Soyuz MS-10) and NASA astronaut Nick Hague. Following a smooth liftoff, the Soyuz’s booster malfunctioned between the first and second stages of separating, whereupon the crew was forced to abort the flight and switch to ballistic descent. The manned Soyuz MS-10 spacecraft ended up landing safely in the Kazakh steppe. The crew was not hurt. This was the first emergency situation with the launch of a manned spacecraft over the past 35 years. The incident-probing commission announced on November 1 that the emergency situation occurred after "a nozzle cover on the oxidizer tank failed to open due to the deformation of the separation contact sensor." The sensor was damaged during the assembly of the rocket’s first stage at the Baikonur Cosmodrome.